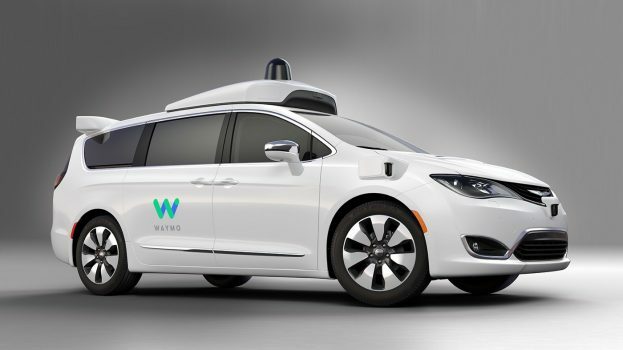 Waymo, formerly the Google self-driving car project, has completed more than 2.5 million miles of autonomous driving on public roads in the past few years, Dmitri Dolgov, head of Waymo’s self-driving technology, said in a blog post. He said that Waymo is accelerating the pace of testing on public roads and in simulation as part of its efforts to bring fully self-driving cars to more people. Citing this year’s California disengagement report, Dolgov added that the company has significantly improved its fully self-driving technology. The report shows that Waymo’s rate of safety-related disengages has dropped from 0.8 disengages per thousand miles in 2015 to 0.2 per thousand miles in 2016. “Disengages are a natural part of the testing process and occur when a driver takes manual control of a vehicle while it is in autonomous mode. Testing, including disengages, allows our engineers to safely add to our software’s driving skills, expand hardware capabilities, and identify areas of improvement,” Dolgov said. He noted that disengages are helping Waymo to further improve its technology. “During testing our objective is not to minimize disengagements; rather, it is to gather, while operating safely, as much data as possible to enable us to improve our self-driving system. Therefore, we set disengagement thresholds conservatively, and each is carefully recorded. We have an evaluation process in which we identify disengagements that may have safety significance,” according to Waymo. The report shows that Waymo operated its self-driving cars in autonomous mode for more than 2.3 million miles as of November 2016. Of those, 635,868 miles occurred on public roads in California, with the vast majority on surface streets in the typical suburban city environment of Mountain View, and neighboring communities. Though Waymo increased its driving by 50% in California, its total number of reportable disengages fell from 341 in 2015 to 124. He noted that the drop in safety-related disengages shows the significant work Waymo has been doing to make its software and hardware more capable and mature. “And because we’re creating a self-driving car that can take you from door to door, almost all our time has been spent on complex urban or suburban streets. This has given us valuable experience sharing the road safely with pedestrians and cyclists, and practicing advanced maneuvers such as making unprotected left turns and traversing multi-lane intersections,” Dolgov said. Dolgov said that Waymo will continue to work harder to make its cars safer. With a hundred tragic road deaths every single day, Waymo is “motivated to work with governments and policymakers to deploy our technology safely and quickly.” He added that Waymo is very optimistic about bringing fully self-driving cars on the public roads.